It has been a busy few weeks, with most weekends being taken up with various antics. It’s like when you wait for a bus and three come along at once…but I am not complaining, it has been nice being a social butterfly! 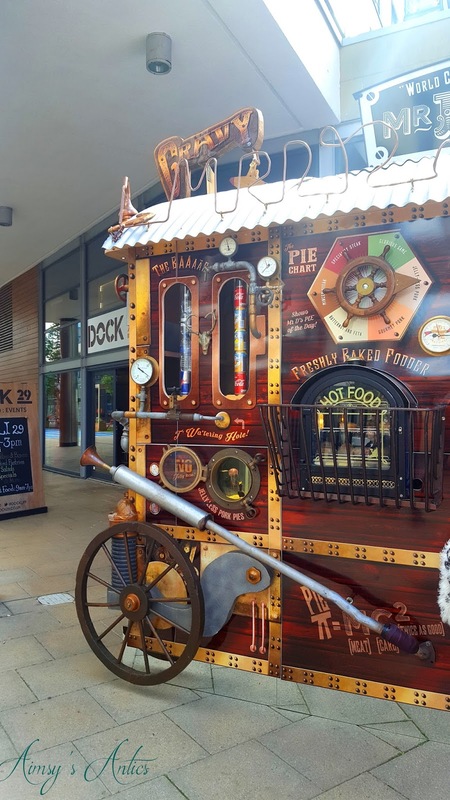 A few weekends ago we started off the weekend with trying out a new-ish Indian restaurant (which you can find the blog post here), followed by afternoon tea and a visit to the waterfront festival in Leeds on Sunday. 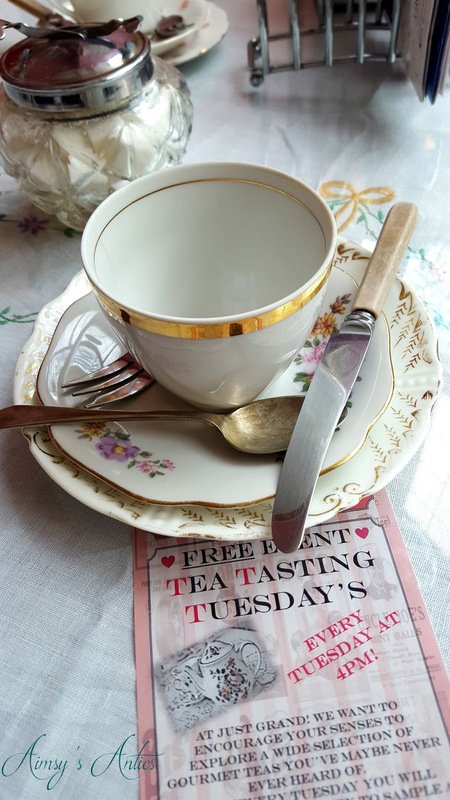 Let’s kick off this blog post with afternoon tea. My friends treated me to a lovely afternoon tea in Just Grand! as a birthday gift. I think I may have previously mentioned this place in a past blog post, but it is well worth another mention. There is also music playing from a record player and depending on which vinyl is playing, you can feel like you are back in the 1940’s. It really sets a lovely atmosphere and is so matching to the interior. The menus are creatively displayed on the back of old vintage vinyl sleeves, most of which have the vinyl/record still inside. 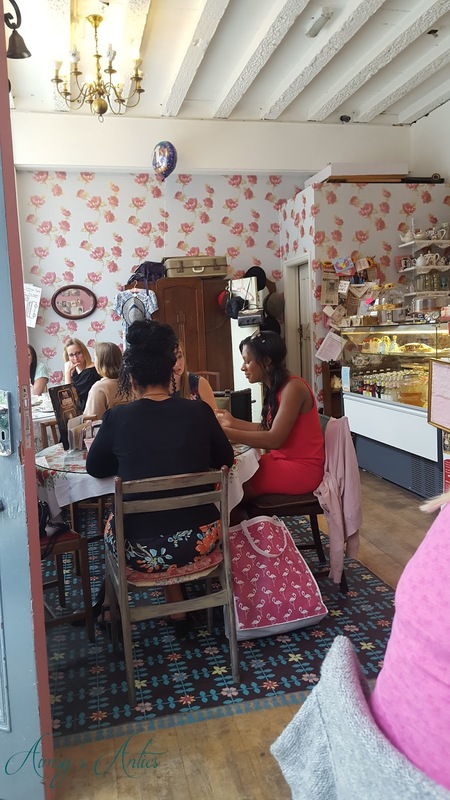 My friends had booked the table and informed the tea room it was for my birthday. We came to find the table, and they had decorated our table with a birthday balloon…such a nice surprise! We decided on having the full afternoon tea and were given the choice of tea of coffee to accompany, with coffee being the option we chose (should really call it afternoon coffee instead). As the outing was for my birthday, for a few extra £s, I opted to have a glass of Pimms alongside the coffee. At the time of ordering, I didn’t realise you have the option of having two drinks with the afternoon tea. The usual sandwiches were offered with the afternoon tea – ham, cheese, egg mayo and cream cheese with cucumber. We were then offered a few options of scones (which are made fresh on the premises every day) with one of choosing fruit scone and two of us choosing chocolate orange scone. It is safe to say the chocolate and orange scones were delicious (can you tell which one I picked?!) and did have the distinct taste of Terry’s Chocolate Oranges. We were offered a choice of cakes, and we all chose the same; chocolate fudge cake. The traditional option with the afternoon tea is fruit cake with a slice of Wensleydale cheese. I am struggling to remember the other option of cake, but I think this was another chocolate type. Again the cake was delicious and following the first two ‘courses’ we were truly stuffed! The lovely staff even brought the cake stand tier with a candle in the top of one of the cakes as another birthday surprise, with the staff and my friends singing Happy Birthday. Coincidentally there was a Waterfront Festival organised for the same weekend, down at Leeds Dock. One of my friends had already been during the day on Saturday and really enjoyed it. So after having our full of sandwiches, cake, coffee and Pimms we headed off down to Leeds’ waterfront area. Prior to having afternoon tea, we had headed to one of the pubs along the waterfront called ‘Calls Landing’. 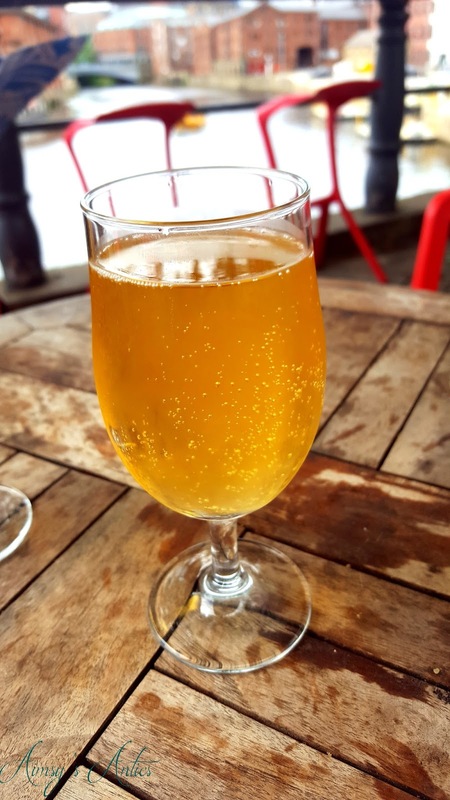 Here I sampled a lovely Elderflower craft cider and it was delicious, and just the right sort of drink for a sunny afternoon overlooking the Leeds and Liverpool Canal. On Sunday, the waterfront festival had a relaxed vibe which appeared to attract a few families. There were several street food vendors offering a taste of yummy food, however, no matter how tempting the food was, we were all pretty full from the afternoon tea. If you sampled the food you could vote for your favourite, with the winner being announced that afternoon. There were also pop-up bars, showcasing their cocktails, as well as the bars already situated along the waterfront. We visited one and I treated myself to a Gin Garden – a cocktail with gin, elderflower liqueur, apple juice and slices of cucumber. It was such a refreshing drink, and a great compliment to the sunny weather, people watching on the dock. There were a few live bands, however, due to the time we arrived at the festival, most of these had finished or were close to finishing their sets. One of the bars played their music out after the acts were finished. It was lovely sitting watching the world go by. To end the day we decided to queue up for the free water taxi that is on offer at Leeds Dock. It takes about 5-10 minutes from the Dock to Brewery Wharf. I have heard of the water taxis here, but this was our first time of using one…it is safe to say we were a bit too excited about the water taxi. We had wonderful views of the varies waterfront building and bridges along the canal. From departing the water taxi we decided to head towards Leeds Train Station, travelling through the multicoloured arches near to the new-ish South entrance of the station. I rarely come through this part of Leeds, but I am glad we did, as the lights really made a great atmosphere in the arches. We really enjoyed this weekend, even though it was quite a busy one! It was nice to see a different part of Leeds, and one that I will be sure to visit again in the future. Thanks for reading, and stay tuned for more of my weekend antics in the next coming blog posts!